A quality rifle has its place front and center in most every hunter’s gun safe. But for each hunter that is outfitted with a good hunting rifle, there are many more who want one but can’t afford one. Budget is almost always the primary concern, and most of us have the idea that a proper hunting rifle setup (rifle, scope, rings, etc.) will cost well over $1000, not to mention the permits, ammo and other gear that goes along with a hunt. Still the desire to hunt calls a lot of people who don’t have the proper rifle each year, and now several companies are making it easier to jump into the sport with affordable rifle lines. Sure these won’t be top-tier rifles, but they will shoot a tight pattern and be more than adequate for a big game hunt. We’ve picked out several rifles that start under the $500 price point and might be perfect for the hunter on a budget. The Ruger American Rifle is arguably the most popular budget rifle on the market today, and for good reason. This new line from the legendary firearms manufacturer is affordable but comes with a reputation for pin-point accuracy. Right away Ruger has dispelled the notion that comes with most budget rifles – that they’re not accurate enough to be reliable on any important hunt. The Ruger American Rifle is, you guessed it, made 100% in America like all other Ruger firearms, and it has some pretty nice features any hunter will find appealing. A Ruger Marksman adjustable trigger allows the shooter to adjust the trigger from 3 to 5 pounds, and this quality trigger knocks out another complaint on some budget rifles – inferior trigger. The bolt is also impressive as it allows scopes to be mounted low on the rifle with a three-lug bolt with a 70 degree throw. Ruger’s Power-Bedding system also free floats the barrel for superior accuracy. The American rifle uses Ruger’s rotary magazine that holds four rounds and fits flush with the stock. The synthetic stock itself is very light, and the rifle weighs on average 6.2 lbs. 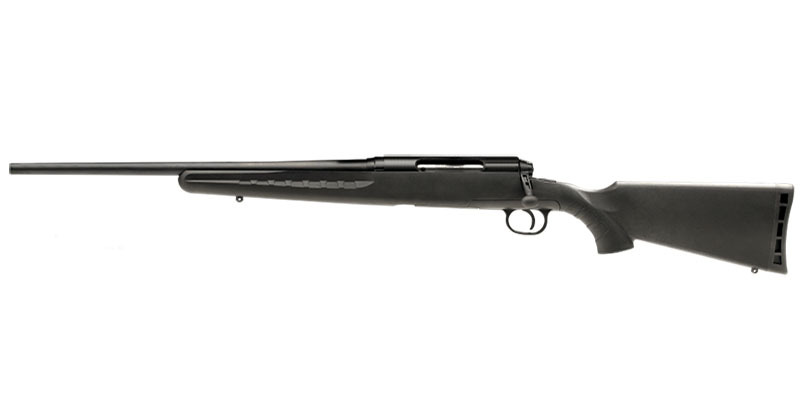 The Ruger American Rifle comes in six calibers in both right handed and left handed models. Still, probably the most impressive thing about the American rifle is the price – a mere $489 MSRP. This isn’t the cheapest “budget rifle,” but what you get out of it is definitely worth the investment. Just recently, Ruger released a varmint and predator version of this rifle in the Ruger American Rifle Predator as well. The Mossberg Patriot has been a popular choice for budget concerned hunters since it was released. It starts at a lower price point than the Ruger American, but it does offer some advantages that you don’t immediately get with the Ruger. First, those who have their minds made up on a wood stock will like walnut stock option that Mossberg provides in this rifle. It’s far more common to see budget rifles come with only a synthetic stock. For some, look is important in their rifle, and you’re really only adding 1-2 lbs. to the overall weight of the rifle (but you will pay more for the stock). Of course, the Patriot is available with a more-affordable synthetic stock as well, and you can also get it in a stylish Kryptek camo pattern if you so desire. Mossberg’s Lightning Bolt Action trigger works somewhat like a two-stage trigger, and it is more adjustable than that of the Ruger, anywhere from 2 to 7 lbs. The Patriot’s barrel is also free floated to provide similar accuracy.The magazine design is similar as well in a dropbox magazine that fits flush with the stock. You will get more caliber options in the Mossberg Patriot with a total of 10 (including the .375 Ruger). One other appeal of the Patriot comes with the optional Vortex scope package. These rifles have a factory mounted Vortex Crossfire II 3-9×40 scope included, and for those intimidated by the process of choosing a scope after a rifle purchase, it can be a weight off their minds. Is it the best possible scope to mount? Of course not, but Vortex is probably the perfect brand for a new or budget conscious shooter, and Mossberg got this pairing right. 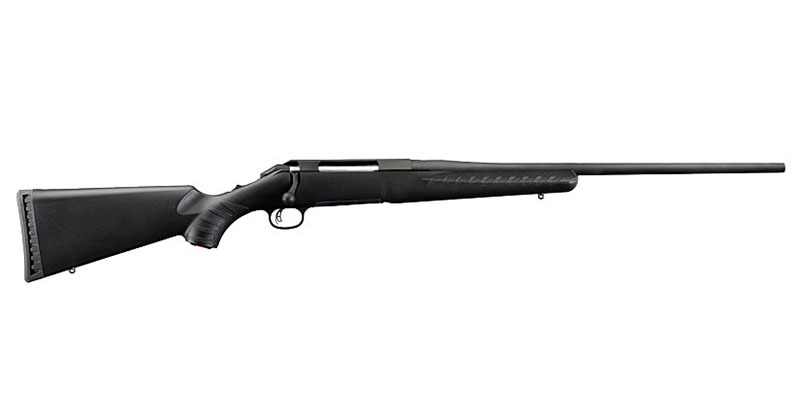 Mossberg Patriot Vortex combos start at $425 at 1800GunsAndAmmo. 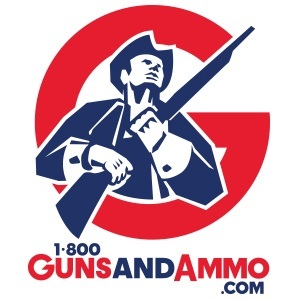 Price: $386 and up right now at 1800GunsAndAmmo. One quick mention of the Mossberg 100ATR, a previous Mossberg rifle model replaced by the Patriot. The 100ATR offers essentially the same feature set as the Patriot, and you can get a great deal on the 100ATR. Price: $235 and up right now at 1800GunsAndAmmo. 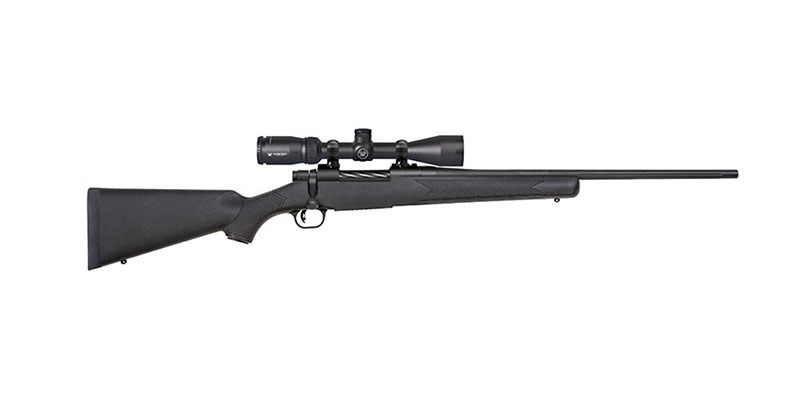 Previously known as the Edge, the Savage AXIS is another quality rifle offering in the growing budget rifle category. Much of the specs here are the same as the rifles listed above, and the Savage is an accurate bolt action with a similar magazine. One notable drawback comes in the AXIS trigger. The popular Savage AccuTrigger is absent in the AXIS series rifles, which means you won’t be able to adjust the trigger at all without voiding the warranty. The stock trigger on the Savage AXIS isn’t as desirable as the other models listed above, but it should be seen as a trade off for the affordable pricing of the rifle. You can get the AXIS in nine different calibers including the unique addition of the 6.5 Creedmoor. A budget rifle comes with some drawbacks naturally, but all in all the options listed above offer significant performance at a price point once thought impossible. There is what we’ll call a “second tier” of budget rifles, and these range at prices more in the $600-$800 range. Rifles like the Remington 700, Winchester XPR, Browning AB3 and Weatherby Vanguard all have models aimed at the budget market as well, but they do represent more of an investment. Those on an extremely tight budget will want to start with a rifle like the American Rifle, Patriot or AXIS, and if one of those gets you out hunting with a rifle you can rely on, that’s the most important part. 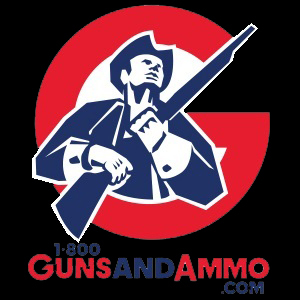 Prices listed are subject to change at 1800GunsAndAmmo.com.